Fry's Turkish Delight was launched in 1914 and, shortly after, became part of the Cadbury stable of chocolate and confectionary bars. 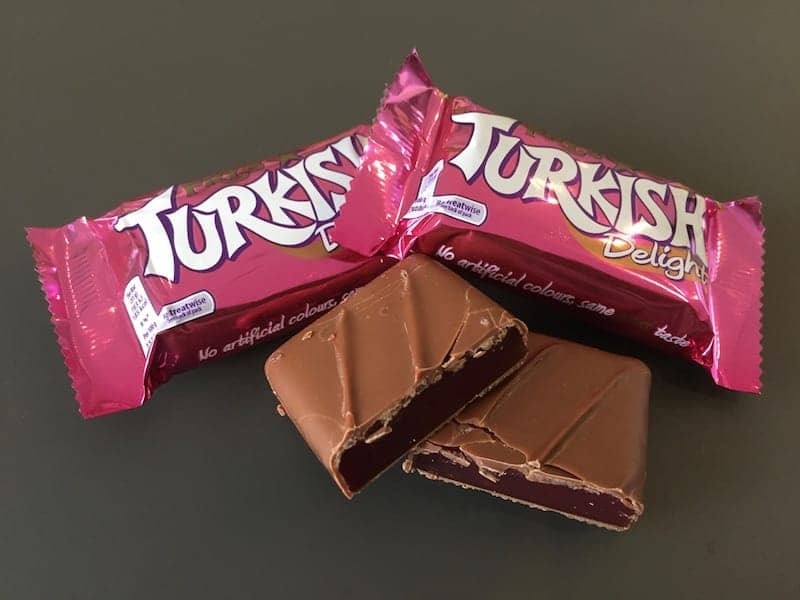 The product is a rose flavoured Turkish delight covered in milk chocolate. It was flavoured with genuine Otto of Roses. The memorably exotic advertising slogan 'Full of Eastern Promise' has been used for several decades since the end of the 1950s. The packaging has evolved and the product no longer uses artificial colours.